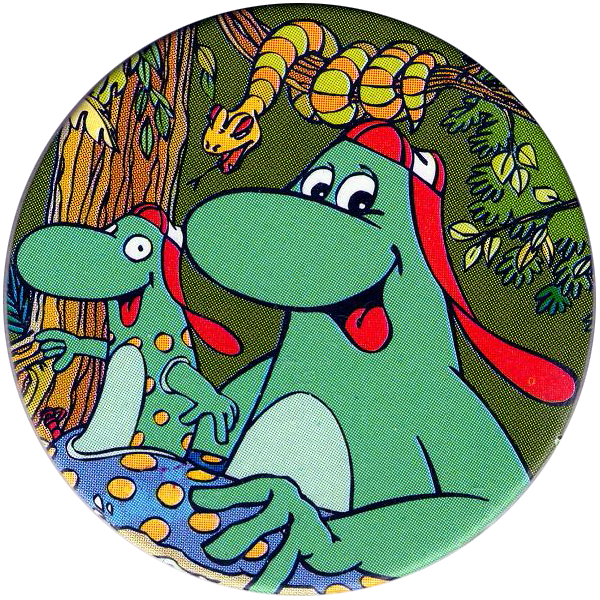 Info:These Yazoo Yammies all feature the Yazoo mascot, Dino, in various Jungle situations. 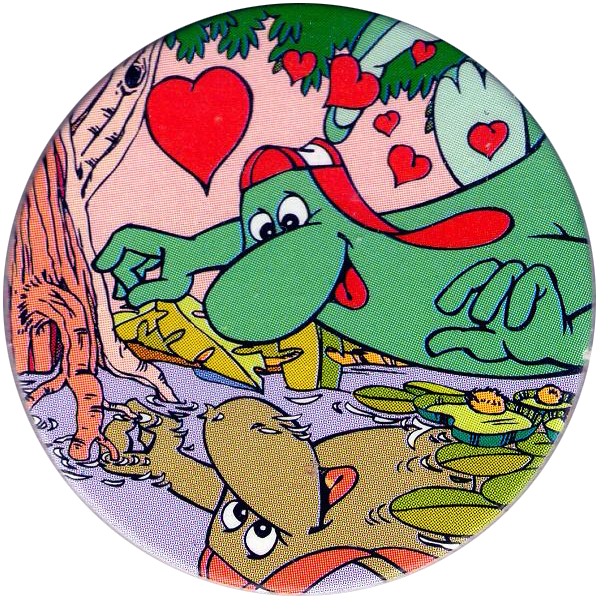 The pogs were given away with packs of Yazoo flavoured milk drink. 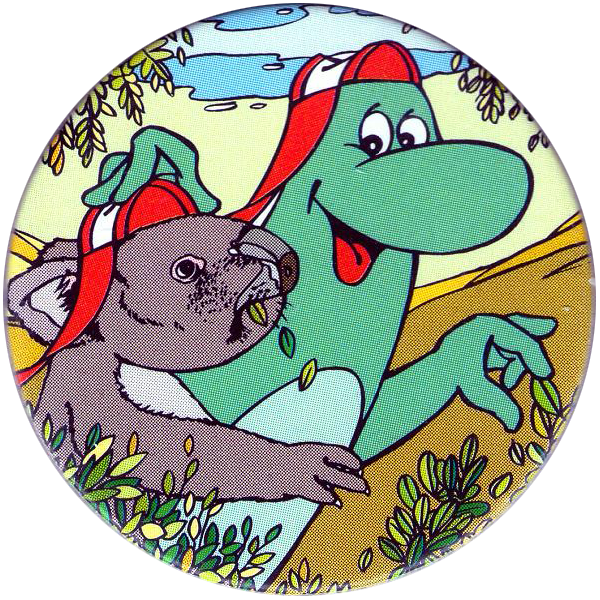 You would collect tokens from the packs, and could then send away for one of four sets - Egypt, Jungle (this set), Space, or Sea World. 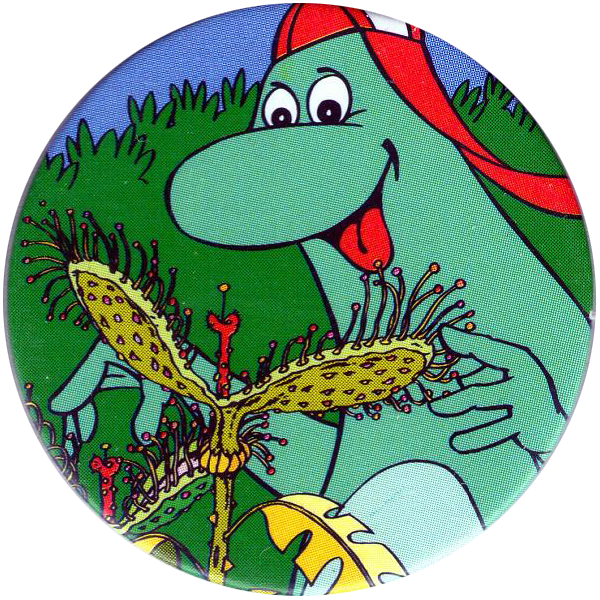 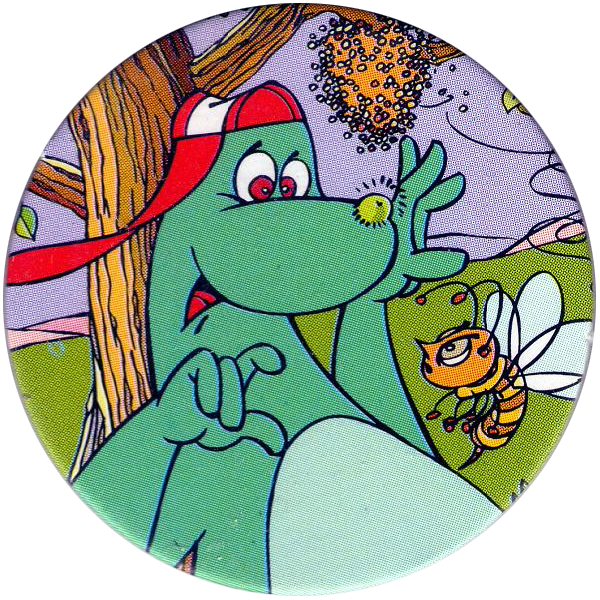 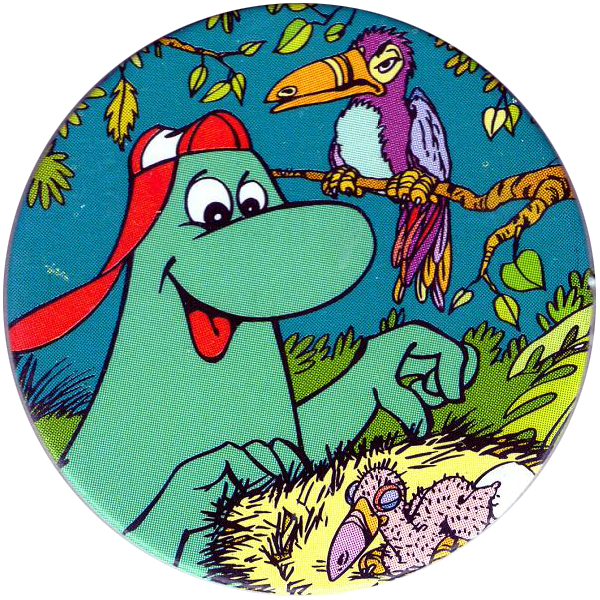 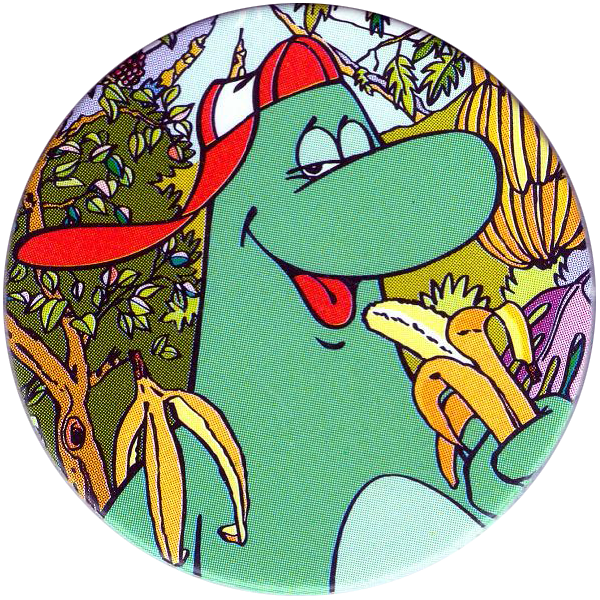 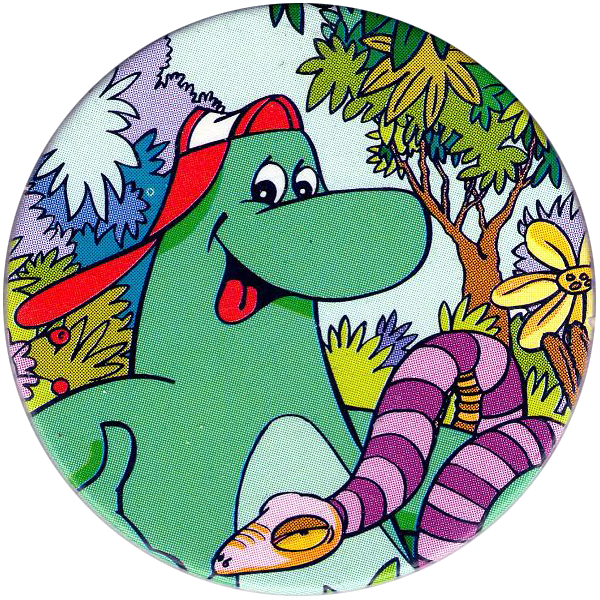 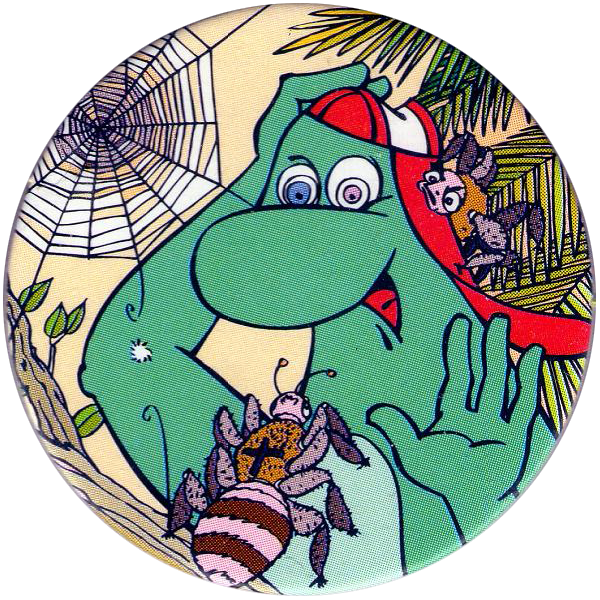 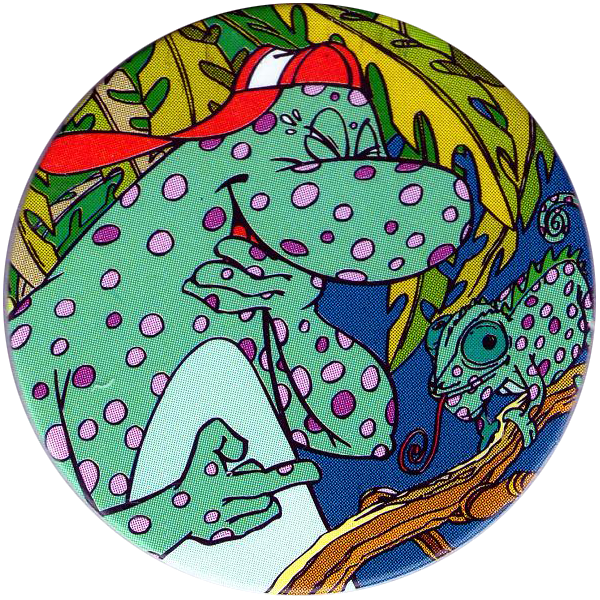 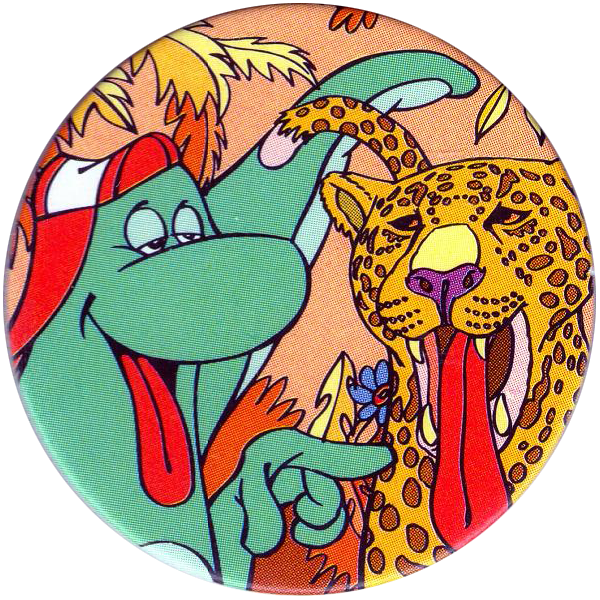 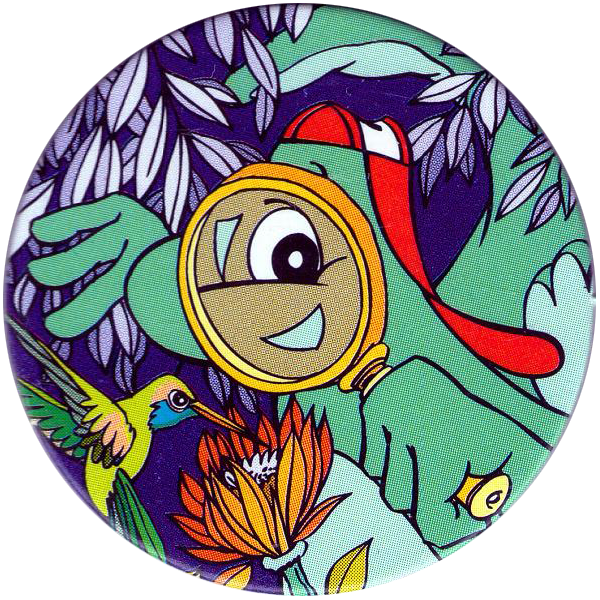 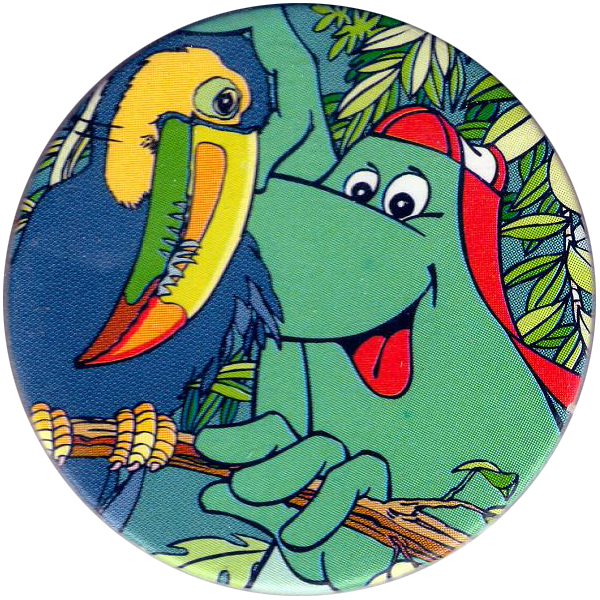 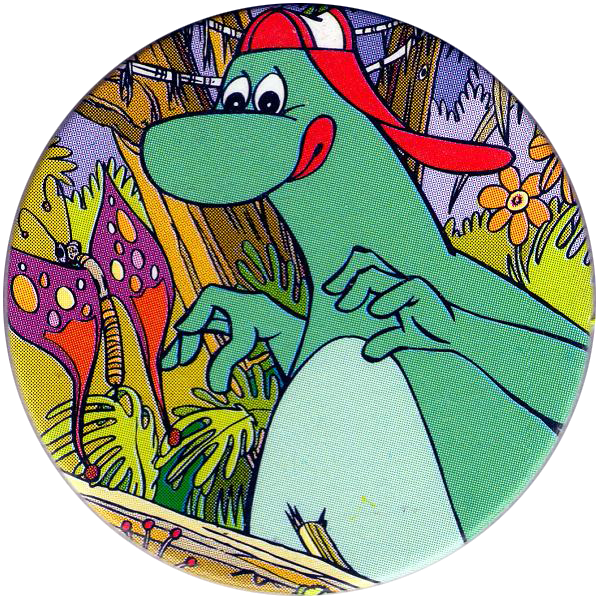 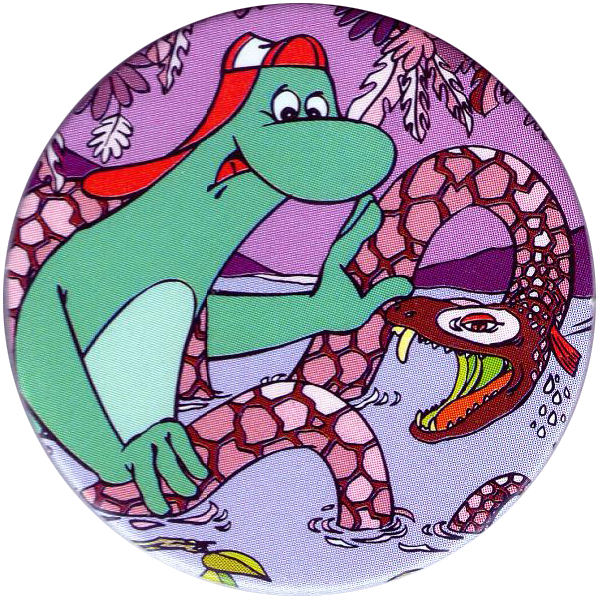 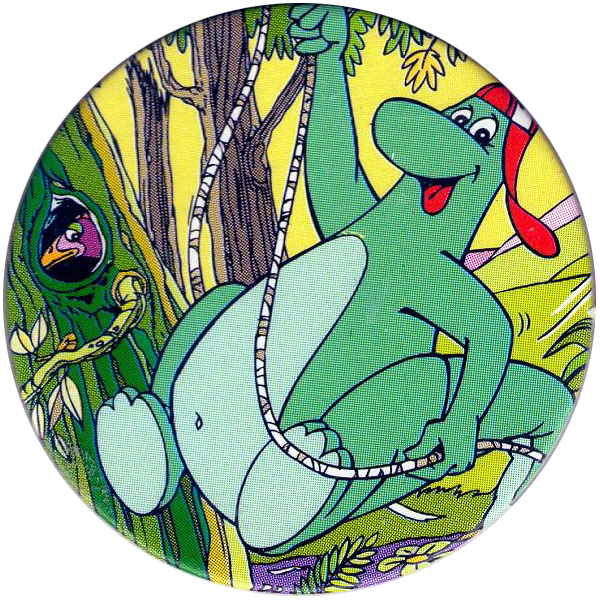 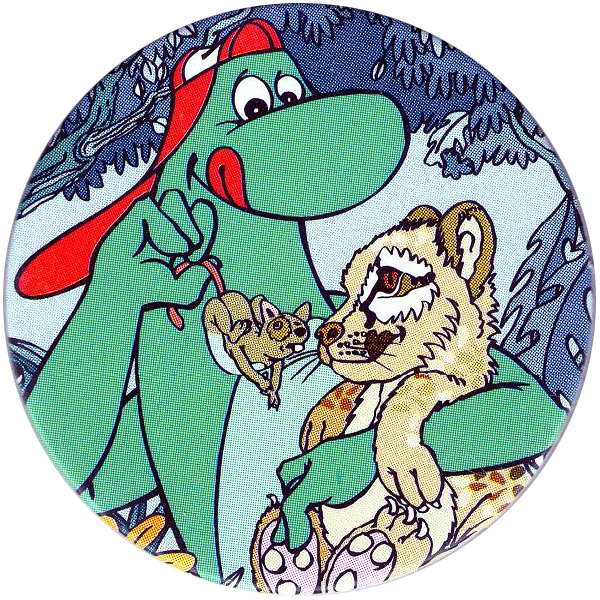 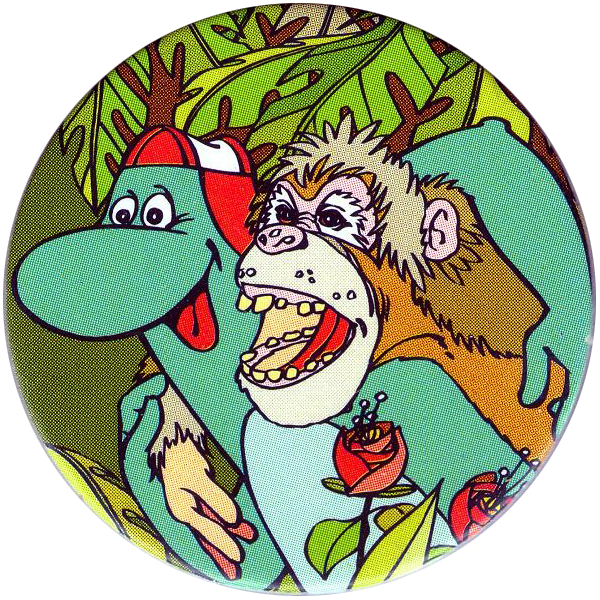 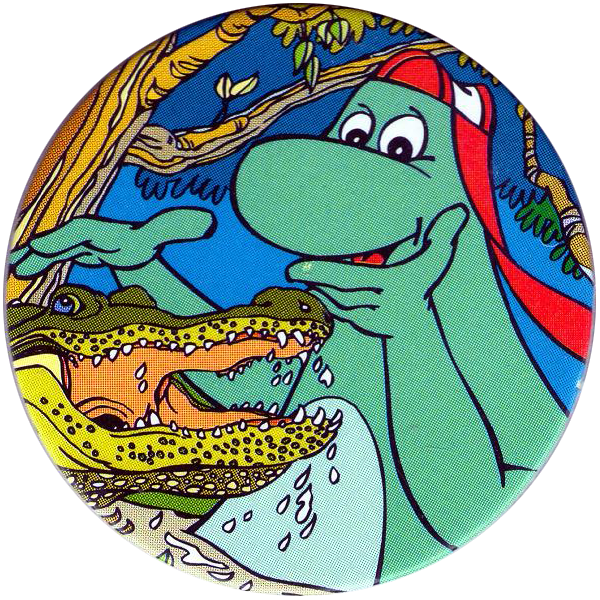 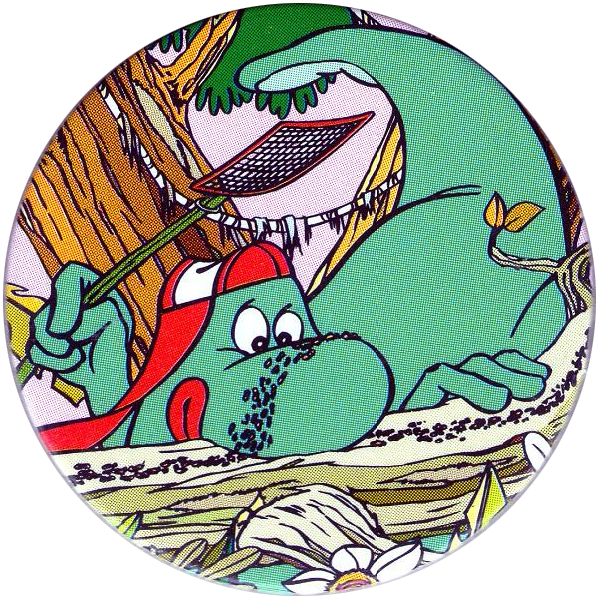 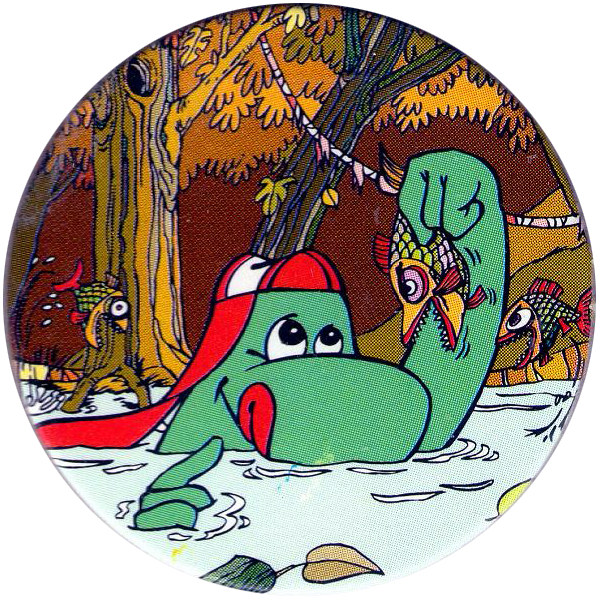 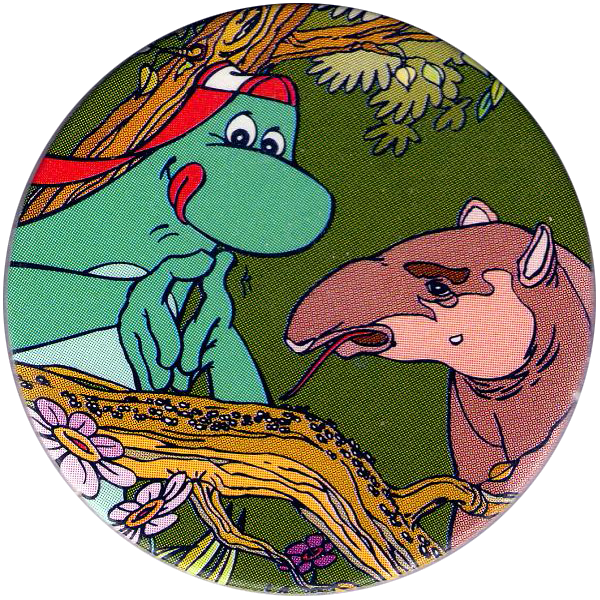 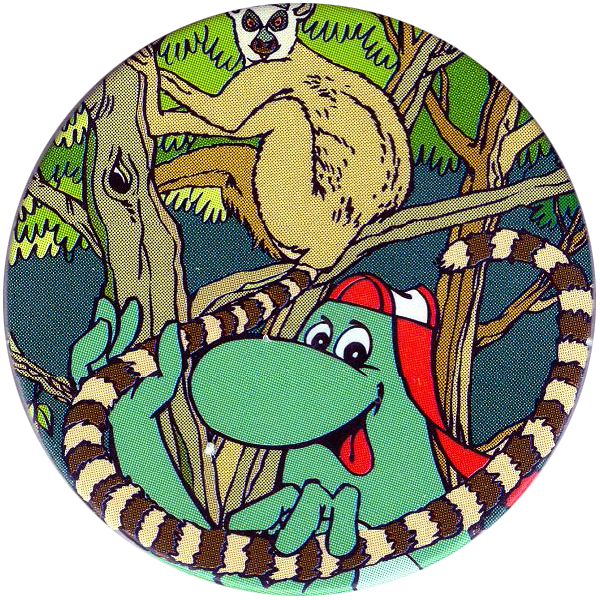 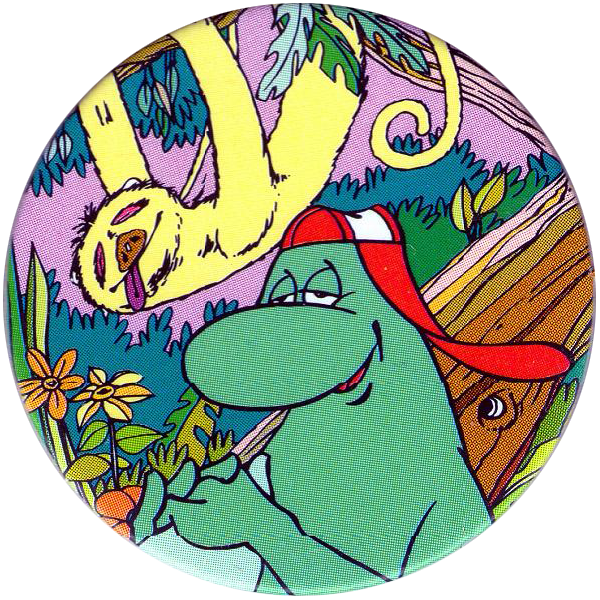 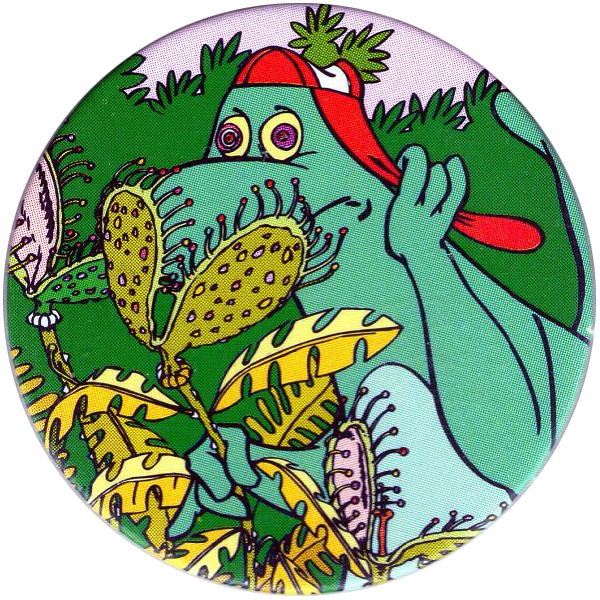 Thanks to Vincent for the scans of the full set of Jungle Yazoo Yammies below.